At Allan’s baptism the other week, I was thinking how one of the coolest things about the Church-with-a-capital-C is that we are part of a community that stretches throughout time and around the world. We are not alone. Tomorrow we have a chance to be reminded of that as many of us begin the E100 Bible Reading Challenge. Around 22,000 Kiwis so far have registered to take part, including heaps of our friends from other NP churches, so there’ll be a great sense of companionship in this, I reckon. The Kiwi branches of Scripture Union, Wycliffe and the Bible Society have banded together to select 100 ‘Essential’ chunks of the Bible. A bit like our focus last year on The Story We Find Ourselves In, these 100 readings give an overview of the Big Story of God-and-us. Radio Rhema is airing daily reflections on the texts, which are being published on the E100 blog and on the E100 facebook page. I’ll be inviting West folks to contribute to this blog throughout the challenge, sharing their thoughts on one of the texts, or on a conversation you’ve been part of, or on the challenge of reading the Bible regularly (tough for a lot of us, me included). Before the first one goes up, feel free to add a comment now. Here are my questions for the 48 West people who have signed up so far: Why are you keen to do this? How do you think this will change how or how often you read the Bible? How are you hoping this challenge changes you? I’m keen to do this because I think it’s a great way to get an overview of the Bible and it will probably lead to more in depth reading in different places to those that I have read previously. I’m hoping to find new passages that stand out to me and lead me to explore more fully the Bible and to increase my ability to make it a part of all I do, am, and say. Additionally, I’m hoping this challenges me to complete the ‘Bible in a year’ challenge I set myself (which faltered after just 7 days). 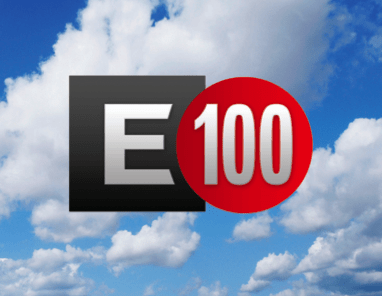 It’s my personal blog for the E100 challenge which includes audio for each days reading. Even though I have listened right through the whole Bible on Thalia’s CDs, this is turning out to be a fresh and new way to understand what’s going on in the Bible. I don’t feel that I am doubling up on anything, and I’m glad I’m doing it. After some reflection on Thalia’s recent question on E100, I realise that if I started on the planned West Baptist date and had 5 readings each week, I would have finished a week ago! However I had an extensive break in UK when I found it just not possible to do the study and meditation justice. As it is I have managed 5 readings per week other than for that break and have completed E70 at the 16 October. The comments have been very helpful in focussing on the text, which although not new has given extra insights. Each time I come to a study there is always a chance for new life experiences to change my perspective – not to mention the leading of the Holy Spirit.